Check out these Paragon pinball machines for sale released by Bally in 1979.You will also find parts and accessories including the rubber ring kits, vintage ad flyer, decals, bumper cap set, tune-up kits, manuals, translites, flyers, and sling shots. 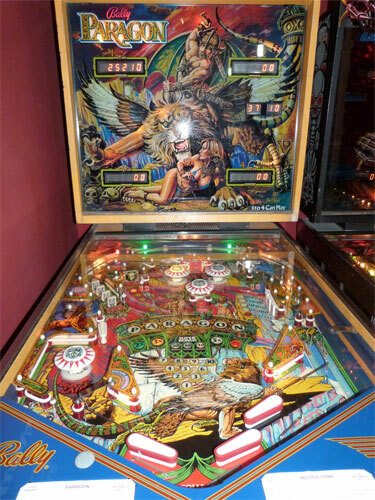 The regular version of this machine has four flippers as shown on the flyer, but some of the games shipped to Europe had only three flippers. Bally's first widebody pin!